I am l in love with my garden. 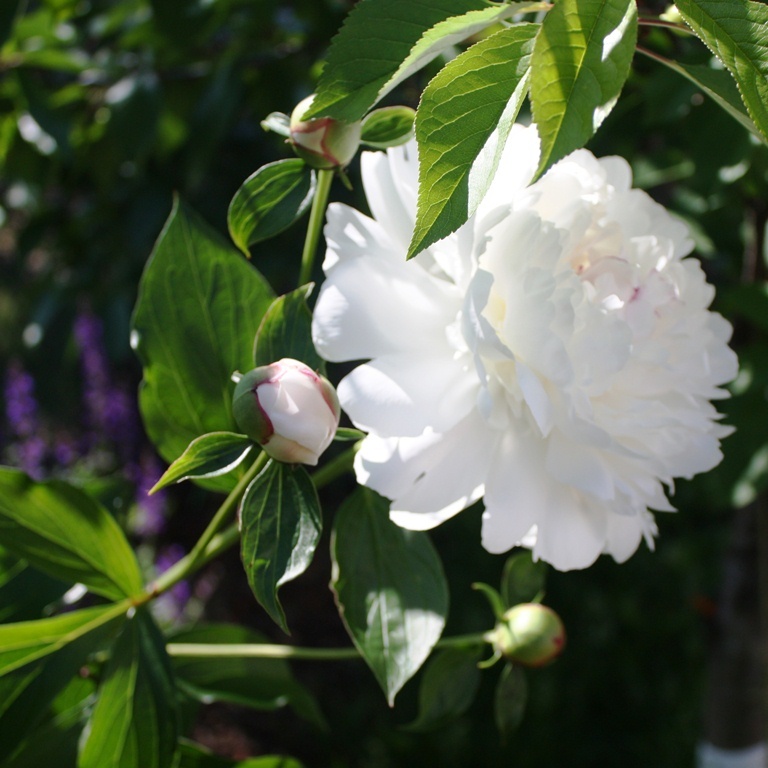 This morning I sat outside to enjoy my coffee by the flowers and decided to take a few pictures. 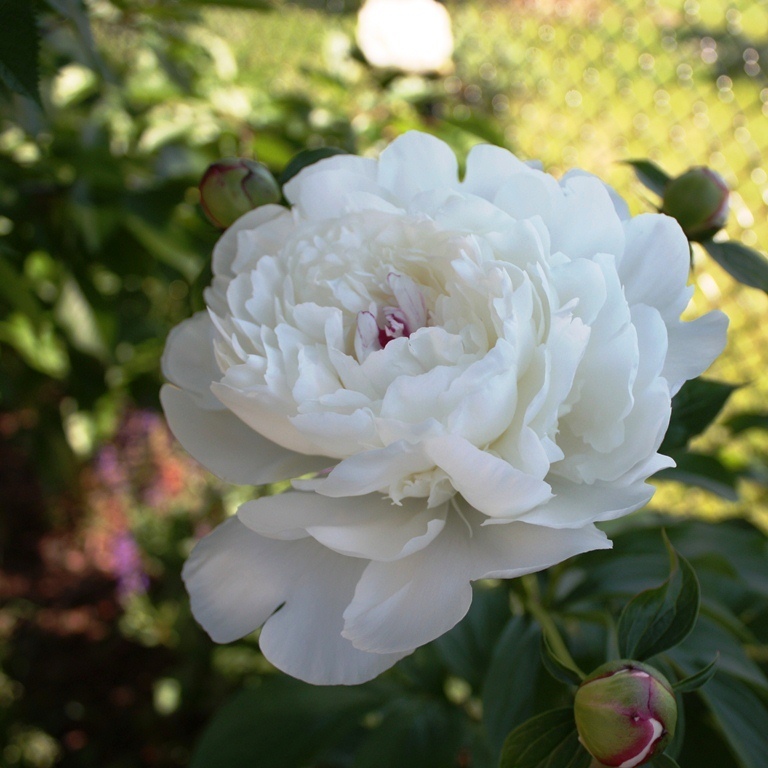 The peonies are in full bloom. I have been enjoying them for just over a week now. I cut a few so I could enjoy their beauty and fragrance indoors as well. 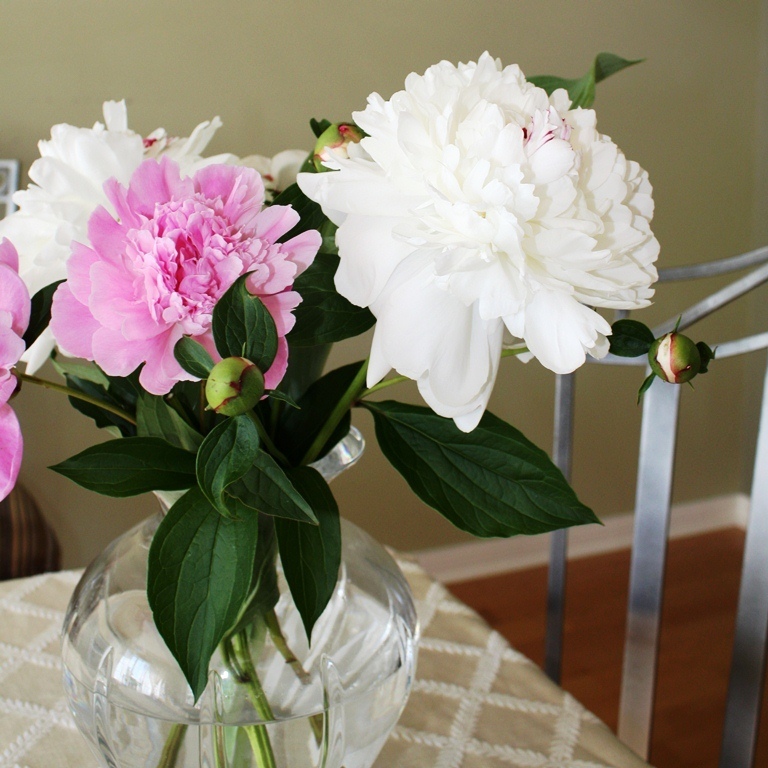 My mother's peonies are pink, so I took some of hers to add a little colour to my bouquet. Aren't they beautiful? Hope you had a great weekend, and are having a happy Monday!